Removing waste from the crush pad or press deck after the press cycle is relatively easy to a point. 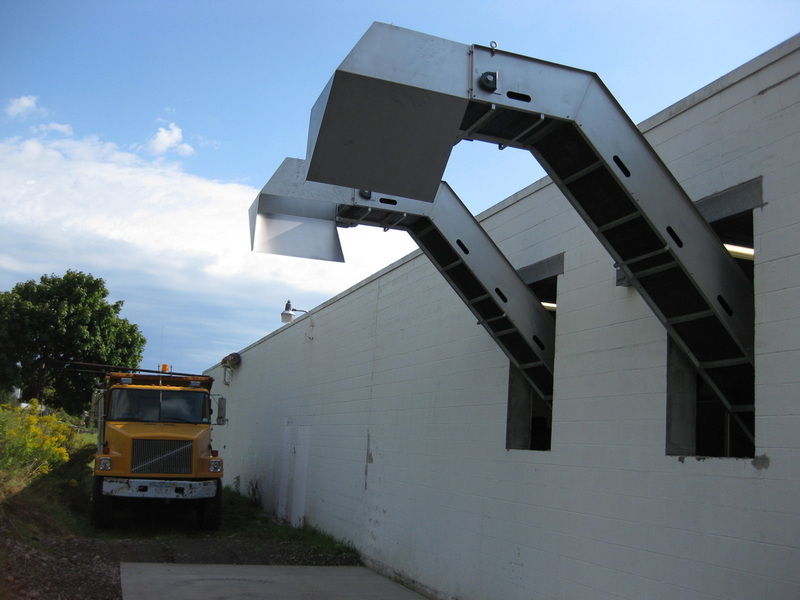 When you are processing over a certain amount of grapes every harvest, it may be time to think about an automated system to remove pomace, stems, seeds and skins into a dump truck, trailer, or spreader and get them out of the way. Enotools works with Custom Metalcraft to design and build what you need in the USA. We will build exactly what your individual setup requires for a price that compares to pre- fab parts that are not 100% what you need. We need your basic information plus some intimate details on the layout, dimensions, and restrictions at your site. Easy handling of grape skins, stems, and seeds.